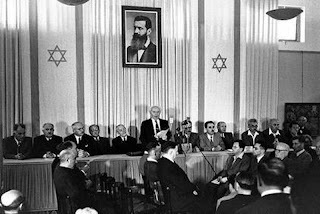 Sixty-four years ago this week, On the 29th November, 1947, the United Nations General Assembly passed a resolution calling for the establishment of a Jewish State in Eretz-Israel ~ the General Assembly required the inhabitants of Eretz-Israel to take such steps as were necessary on their part for the implementation of that resolution. This recognition by the United Nations of the right of the Jewish people to establish their State is irrevocable. Resolution 181's passing may be seen in video footage below. "The Land of Israel was the birthplace of the Jewish people. Here their spiritual, religious and political identity was shaped. Here they first attained to statehood, created cultural values ...of national and universal significance and gave to the world the eternal Book of Books. WE APPEAL to the Jewish people throughout the Diaspora to rally round the Jews of Eretz-Israel in the tasks of immigration and upbuilding and to stand by them in the great struggle for the realization of the age-old dream ~ the redemption of Israel. 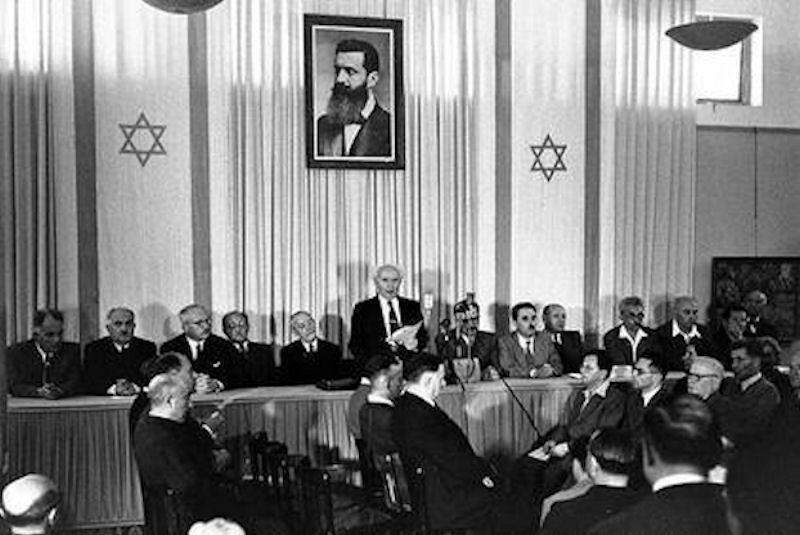 PLACING OUR TRUST IN THE "ROCK OF ISRAEL", WE AFFIX OUR SIGNATURES TO THIS PROCLAMATION AT THIS SESSION OF THE PROVISIONAL COUNCIL OF STATE, ON THE SOIL OF THE HOMELAND, IN THE CITY OF TEL-AVIV, ON THIS SABBATH EVE, THE 5TH DAY OF IYAR, 5708 (14TH MAY,1948)." Yarzeit of Binyamin & Talya .... Kahane Chai!! How the NGO's Stole Christmas !!! A Holy Land Grab !! !